Thus far, election discourse has been dominated by exchanges on the economy and related issues such as jobs, growth, taxes, and the like, and where the term "middle class" has become metaphor and message of that discourse. Accordingly, the Munk Debates on foreign policy are a welcome addition to the political discourse, particularly as foreign policy itself is not characterized as a salient issue for electoral purposes. Admittedly, while the recent -- though belated -- concern with Syrian refugees, "Putinism" and the Ukraine, and free trade, have asserted themselves, the need - and nature - for a comprehensive human rights foreign policy has yet to be addressed. What follows is an agenda for such a policy that can engage us beyond tonight's debate and serve as a blueprint for action for the incoming government. First, Canada should ratify the Optional Protocol to the Convention against Torture and other Cruel, Inhuman or Degrading Treatment or Punishment. This would give Canada the necessary "standing" to enlist other countries in the prevention and combating of this horrific crime against humanity, while ensuring our own involvement in this compelling concern. Second, Canada should sign onto the new Arms Trade Treaty to interdict the sale and transfer of arms to human rights violator countries as a related companion initiative. Yet Canada, alone among NATO countries, has yet to become a signatory to this treaty, and it's time for Canada to act. Indeed, the $15 billion arms sale to Saudi Arabia might have been prevented had Canada taken its responsibilities more seriously. Third, Canada must increase its participation in international efforts to prevent mass atrocity and genocide. Already, 43 countries -- including the United States, Germany and the U.K. -- have established national "focal points" -- with a view to implementing the Responsibility to Protect doctrine (R2P), whose tenth anniversary we are now commemorating, and which is one of the most important international normative doctrines of our time. Such focal points can serve as both domestic and international early warning systems, while helping to coordinate efforts to prevent, and to respond to, mass atrocity. Fifth, a human rights foreign policy would also include measures to sanction human rights violators, such as asset freezes and visa bans, and the like. In particular, as human rights violators often seek to travel and trade abroad -- including laundering their assets abroad -- countries have a duty to restrict the ability of such violators to travel and carry out commercial activities within their respective borders. Accordingly, on June 9th, I tabled such a bill -- the Global Magnitsky Human Rights Accountability Act -- to sanction such violators. This initiative is similar to legislation adopted in the United States in 2014, and also reflects resolutions adopted by parliaments around the world, including a motion unanimously adopted by the House of Commons this spring. Sixth, a human rights foreign policy would also ensure that grave human rights violations are not sanitized or overshadowed by the realpolitik of foreign policy considerations. For example, during the P5+1 negotiations with Iran, the massive domestic repression by the Iranian regime was too often ignored or marginalized. Now that the nuclear agreement has been reached, the addressing and redressing of these human rights violations in Iran must be a priority in our foreign policy, including the defence of political prisoners, the combating of gender inequality and the criminalization of dissent, and the holding of Iranian officials responsible for the wave of wanton executions, to name but a few. Indeed, the executions in Iran have escalated dramatically during the P5+1 negotiations, yet have been absent from the international foreign policy radar screen. Seventh, the international realpolitik should also not overshadow or sanitize human rights concerns at the United Nations. The UN -- and particularly the UN Human Rights Council -- should be a forum for addressing and redressing human rights violations, and not a place where the violators are given a free pass. Accordingly, Canada should engage with the UN -- and propose UN reform -- so as to uphold the UN principle of equality before the law for all nations, large and small, including combating the singling out of one member state -- Israel -- for selective opprobrium and indictment. For example, in the last months alone, Israel was declared to be the worst violator of health, women's rights, and human rights in the world, while major human rights violators have been given exculpatory immunity, the whole regrettably eroding the principal of international due process and the authority of international law. Eighth, it is important for Canada's foreign policy to prioritize the prevention of violent extremism, which underpins acts of terror. 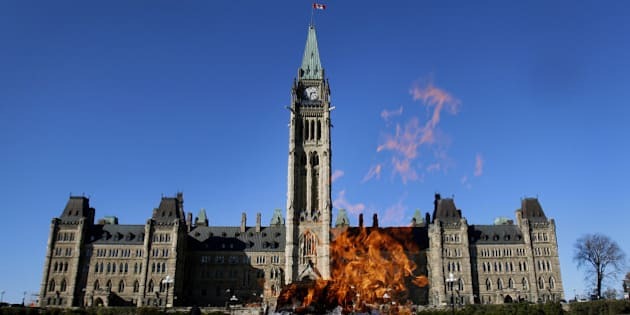 Canada should engage with the Counter Extremism Project (CEP) involving collaboration with governments, NGOs and civil society to counter the radicalization both before it occurs and after it has taken root. Indeed, an important initiative of this project is taking place today at the UN, specifically directed to younger people. Ninth, while most Canadian companies are good corporate citizens, increased efforts must be undertaken to bring about improvement in corporate social responsibility, especially in the extractive sector. Canadian companies must respect the rights of their workers, of local populations, and international norms in this regard. Private member's bills were introduced in this last Parliament for this purpose but have yet to be acted on, and can be the basis of action for the next government. Finally and most important, while the tragic and iconic image of Alan Kurdi washed up on a Turkish beach gave a name, a face, and an identity to the international refugee crisis -- and dramatized the worst humanitarian catastrophe since the end of the Second World War -- we have yet to address the root cause of which the refugee crisis is the tragic consequence. In a word, we need to stop the killing fields in Syria -- initiated and sustained by the scorched earth policy of the Assad regime which is responsible for 80 per cent of the killings -- and which has resulted in over 300,000 dead, 12.2 million Syrians forcibly displaced, and over 4 million Syrian refugees destabilizing neighbouring countries such as Lebanon and Jordan. None of this is intended to ignore or minimize the horrors of ISIL, which stepped into the breach of international inaction in these matters. What is so necessary and urgent is for Canada, in concert with other countries, and the present meetings at the UN General Assembly -- which can serve as a framework for that purpose -- is to bring about an urgent ceasefire, a no-fly zone to stop Assad's barrel bombing and aerial atrocities, and secure protective safe havens for the delivery of medical and humanitarian relief, and the like. Tragically, for over four years now, the international community has dithered and delayed while Syrians have continued to die.